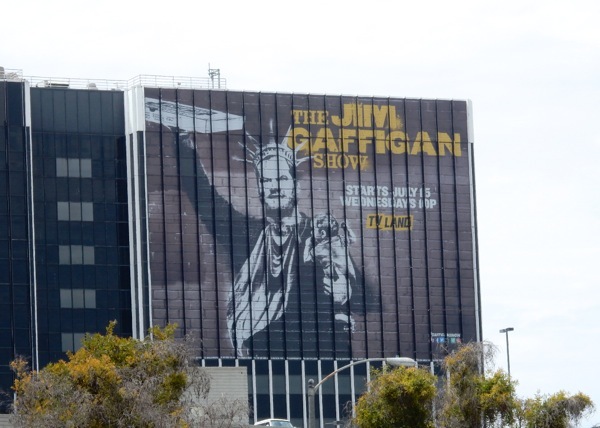 The Jim Gaffigan Show on TV Land may not have the most original premise, with the stand-up comedian playing a fictionalized version of himself raising a family of five kids with his wife in New York while balancing his work and family life (based on his own experiences), but these billboard homages to British graffiti artist Banksy are pretty clever and eye-catching, and help sell the new comedy series. 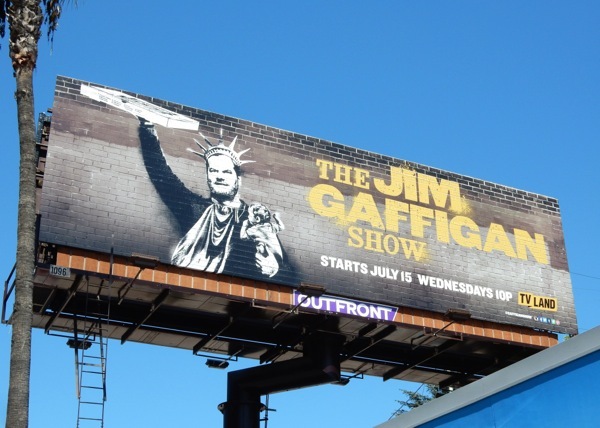 If you like this parody of the Statue of Liberty, be sure to also take a look at this special Red Nose Day billboard and this hilarious season eight billboard for Curb Your Enthusiasm, which are also inspired by the iconic statue standing on Liberty Island in Upper New York Bay. 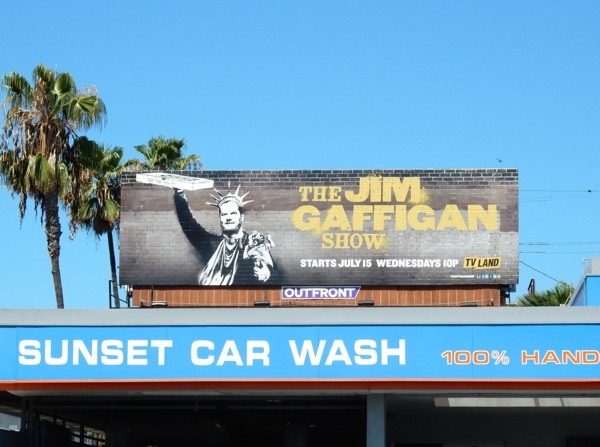 The standard landscape billboard fro the new series was photographed along Sunset Boulevard on July 25, whilst the giant-sized version was spied beside the 405 Freeway near LAX airport on August 6, 2015. 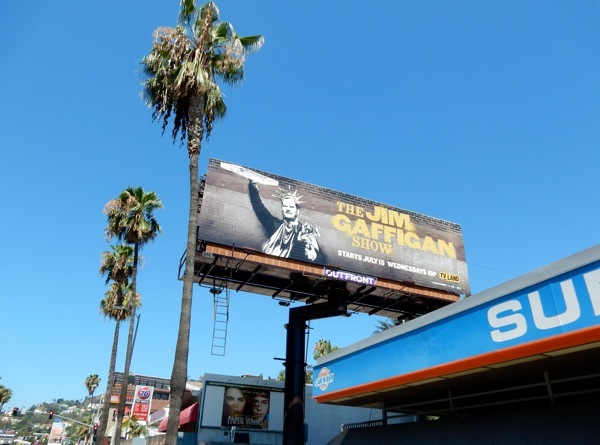 For more shows featuring fictionalized versions of celebrities, you can also check out these billboards for Louie starring Louis C.K. 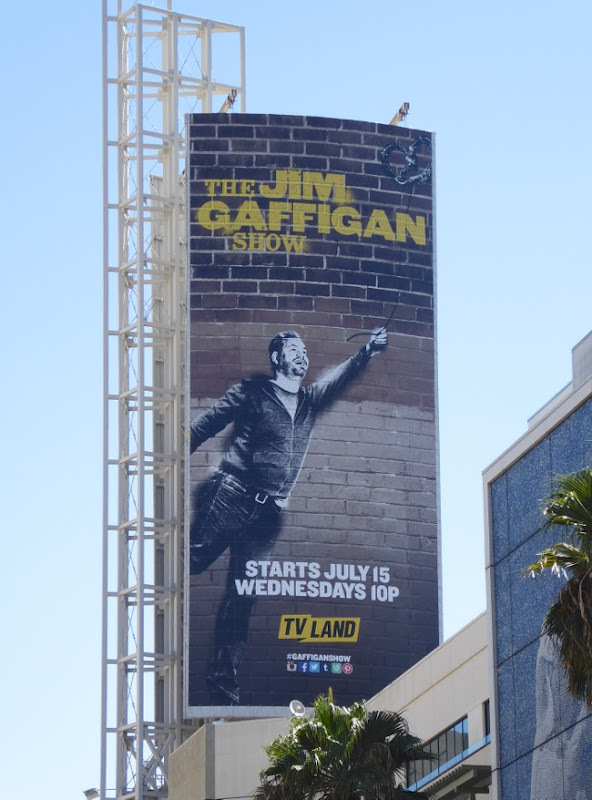 and these Episodes billboards featuring Matt LeBlanc. Anyone else suddenly have a craving for pizza? 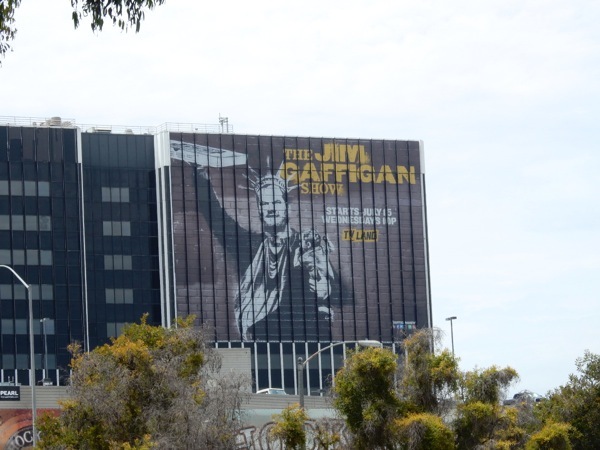 UPDATED: Here's another foody Banksy homage creative for The Jim Gaffigan Show. 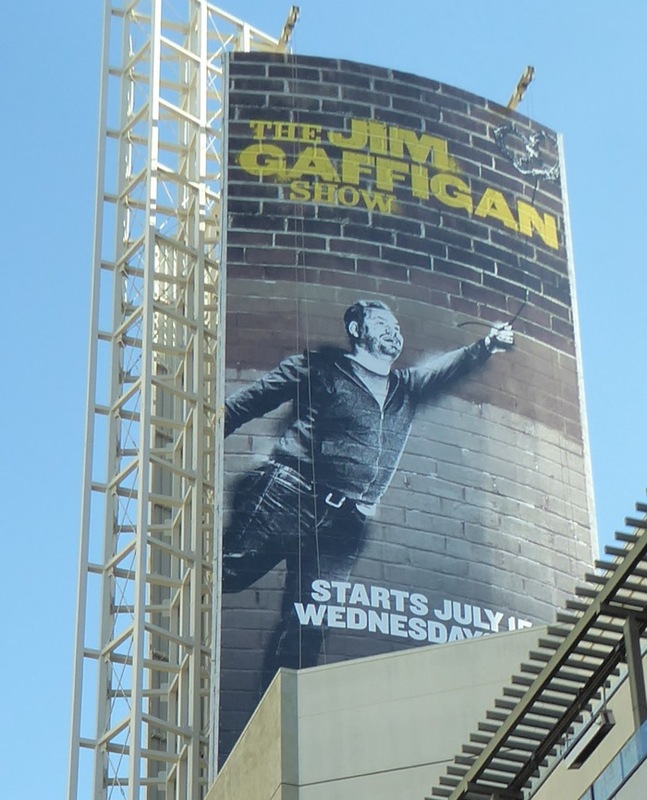 This one with a pretzel balloon theme was spied high over Hollywood & Highland on August 14, 2015. 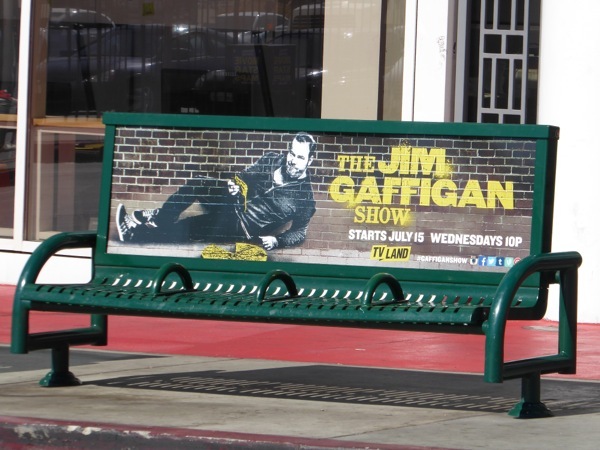 And here's a bonus pizza ad creative spied on a bench in Hollywood on August 16, 2015.